Shah Alam, 26th May 2012. Tomorrow in Sungai Besar which is located in the Sabak Bernam district, there will be a chess tournament being held. The tournament which offers lucrative money prizes is organized by Persatuan Catur Daerah Sabak Bernam or simply PCDSA (in English - Sabak Bernam District Chess Association). GiLoCatur hopes the participants and chess parents are not confused between Sabak Bernam and Sungai Besar. Firstly, the tournament hall which is Dewan Seri Bernam (below picture) is NOT located in Sabak Bernam town. 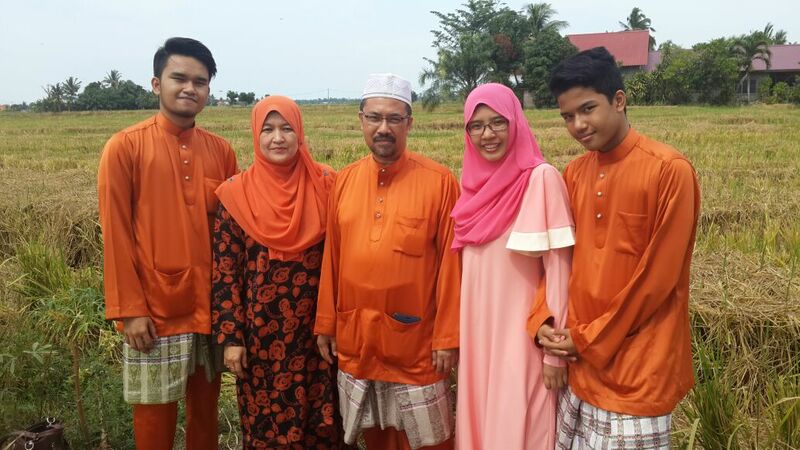 Instead, it is located in Sungai Besar town. 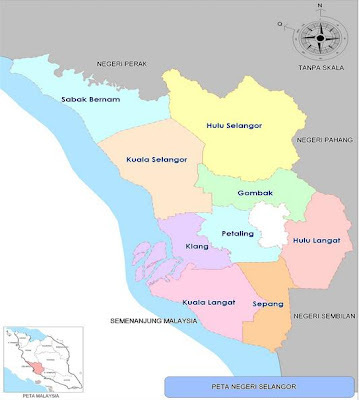 Sabak Bernam is one of the nine districts in Selangor. 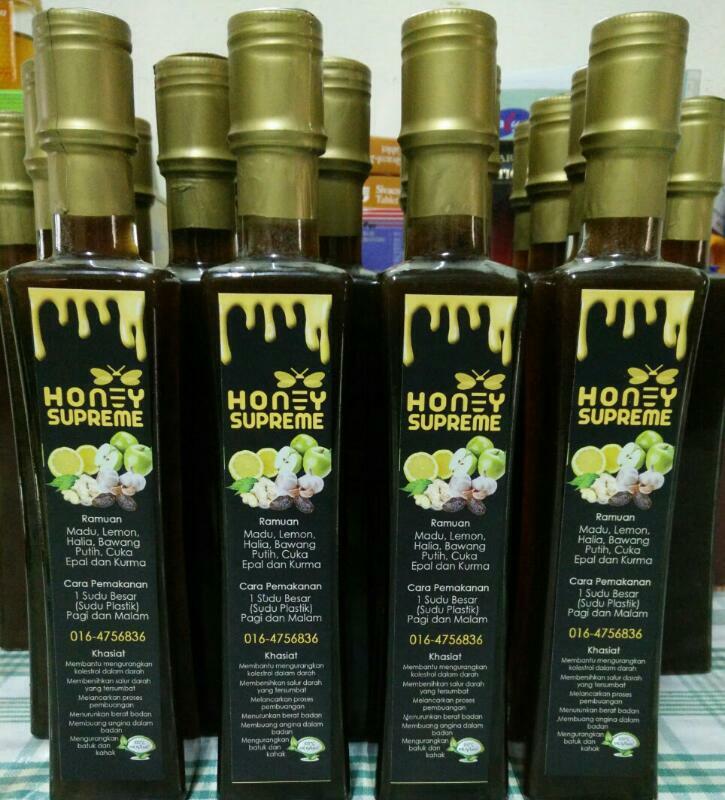 It is located in the northern part of Selangor bordering to the Perak state. Its size is about 100,000 hectares. 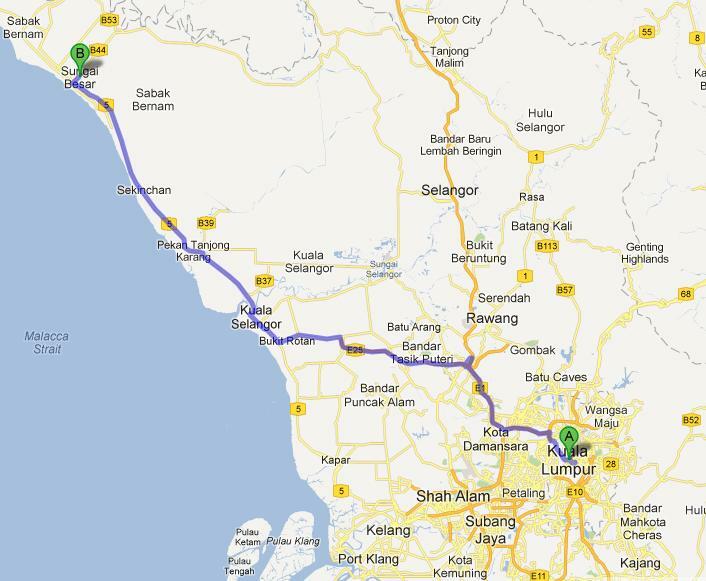 Secondly, Sabak Bernam and Sungai Besar are two towns in the Sabak Bernam district. 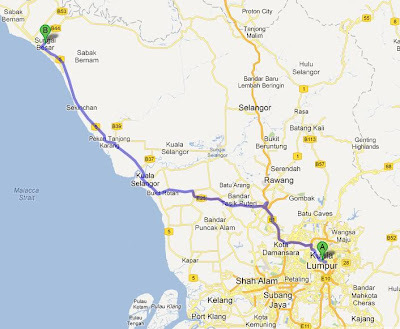 Actually, the distance between both Kuala Lumpur and Kelang and Sungai Besar town are about 120 and 100 kilometers. GiLoCatur and the kids will drive from Shah Alam to the tournament hall early tomorrow morning. It will take about two hours drive. We will leave home after the Subuh prayer. All the three GiLoCatur's children are quite familiar with the tournament hall. They were playing in the hall in the 2011 edition of the MSSSelangor chess championship. GiLoCatur hopes below map gives the idea how to get to Sungai Besar to those who are not familiar with Sabak Bernam and Sungai Besar. See you at Sabak Bernam Chess Open at Seri Bernam Hall, Sungai Besar!